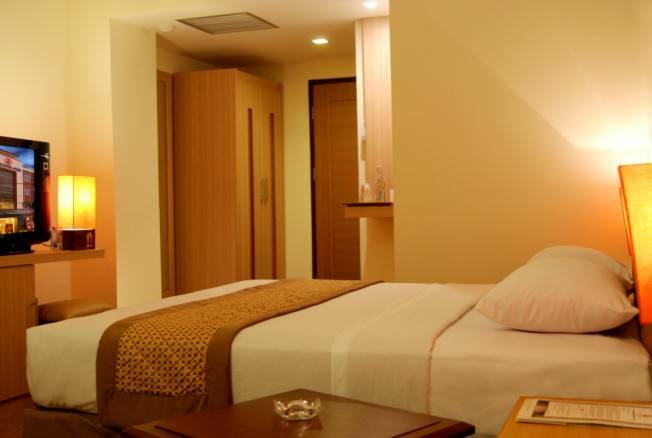 Abadi Hotel Jogja appears prominent compared to other luxury hotels in the Malioboro area. This hotel with its dark red colour has an exclusive building with a large parking space. Its modern appearance can be immediately seen from its classy front exterior with a dynamic style of the building. 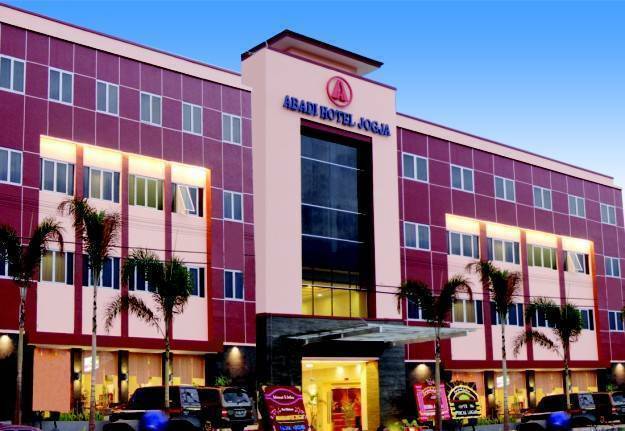 Abadi Hotel Jogja which is located on Jalan Pasar Kembang is only a few footsteps away from Malioboro. This new four storey high hotel can be seen right after you walk out from Tugu Railway Station, or if you enter Malioboro from the west. You will immediately feel the peaceful and comfortable atmosphere when you arrive in the hotel lobby, also when you enter the hotel rooms. The interior of the guest's room are dominated by natural coloured wood with classy brown and cream coloured walls. Green plants, artistic wall paintings, and the view of Jogja City will accompany your memorable moments during your stay in this hotel. Every room have exclusive bathrooms and sophisticated utensils, with vink cards or key cards that each visitor brings. Every room have connecting doors to adjacent rooms. You can also taste delicious Thai food which is the specialty menu of Merapi Coffeeshop located on the ground floor of the hotel. By staying in Abadi Hotel Jogja, you can get to Malioboro in only 5 minutes walk. If that doesn't make you tired, then you can continue on walking down to Beringharjo Market, Fort Vredeburg, and Yogyakarta Kraton or the Sultan's Palace. If you're an art person, you can visit Taman Budaya Theatre and Jogja Gallery. You can also reach Pathuk Street for its famous Bakpia Pathuk cakes by becak or pedicabs that you can ride from the front of the hotel. If you are tired, you can try some Javanese Massage that will make your body feel fresh again. Beauty treatments such as massage, facials, mud bath, and bleaching to rejuvenate your skin cells are also available. 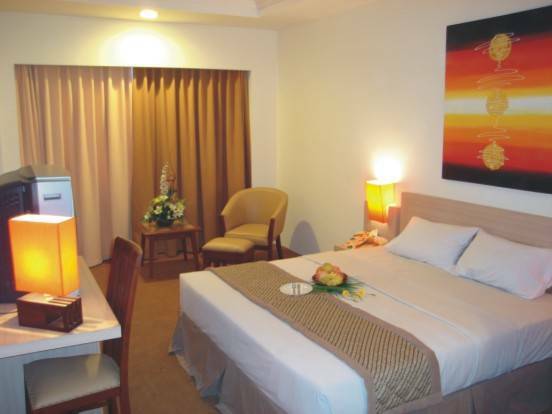 The excellent quality and services of this hotel makes it the primary choice for many people. Many visitors are even willing to queue for a Suite Room booking. You can get this impressive experience when you stay in this hotel with all of its modern facilities in it.